Home > WRFU News > HAVE WHISTLE……………WILL TRAVEL!!! 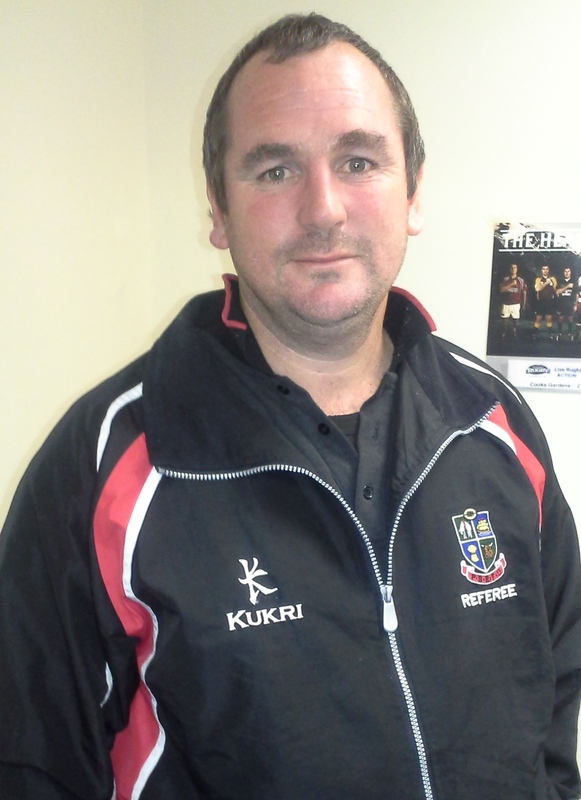 This weekend, Wanganui Club Rugby will host a referee from the Poverty Bay region. Hugh Fitzgerald, will take time out from his weekly referee grind in Gisborne, to adjudicate the Ratana v Tech Wanganui Senior competition fixture Saturday at 1pm on the racecourse. Wanganui Rugby welcomed a call from Hugh early in the week to request appointment to a local fixture, as he will be in town over the Easter period visiting his wife’s family. Hugh has been an active referee for three seasons now, following 20 years commitment as a player. In 2011, he received an injury that prevented him from playing the game. That did not stop his burning desire to continue involvement in the game, and with numerous calls of support from colleagues and rugby family, encouraged his active involvement to become a rugby referee. Some of our locals will recall a local talent Glen Collins, who suffered serious injury at a training run some years ago. He went on to become one of our highest local ranked referees, and although he is no longer in the region, is prime example of real positive options available to our members after playing the game. Wanganui Referees are constantly looking for ideas to generate support for their referee membership, including approaching past players. Daniel Rolls, David Kereti, David Gower, testament to their commitment as players, now involved in officiating rugby fixtures. There are a lot more out there. The game itself offers so many opportunities and this is certainly a way of continuing that keen and enthusiastic affiliation. Hugh Fitzgerald has embraced the position and currently referees similar level to our senior competition in Poverty Bay. He is definitely passionate about his role, with whistle in hand. Has played club rugby in the Wairarapa Bush & Poverty Bay regions. Believes the option of refereeing also meets personal requirements to maintain a healthy lifestyle. The goodwill that is spread by Hugh’s communication with our province will reap beneficial reward and valuable experience. On behalf of our Wanganui Rugby Referee Association and Wanganui Rugby, we extend a warm Wanganui welcome, and thank you for the efforts and time you will take during your Easter break to assist our region adjudicate a senior competition fixture. Son (Mitchell 11), grandson (Keegan 2). Q. Hugh, the name Fitzgerald has significant association to Wanganui rugby recently, can you confirm whether you are related to the Wanganui link. Are you interested in refereeing local rugby! Wanganui will play in a three-team game of rugby.